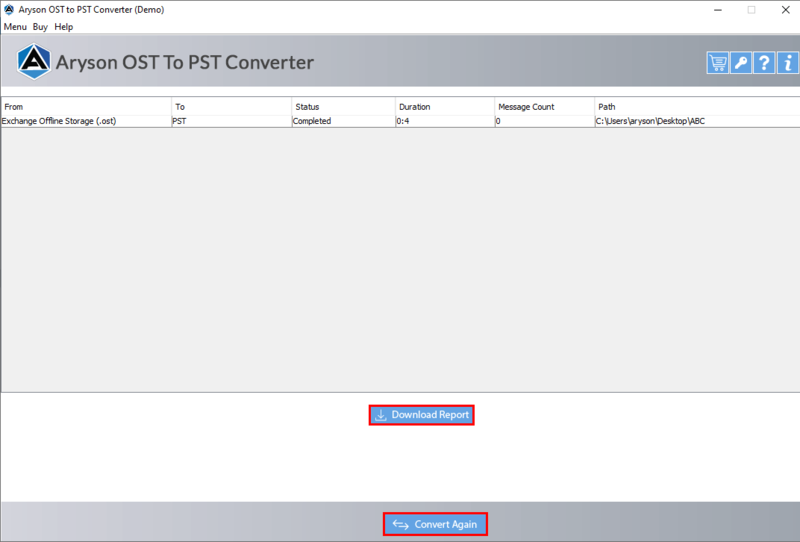 OST converter is a user-friendly conversion tool that provides full support in recovering and repairing damaged corrupt OST file before migrating them to the PST file. It is a useful solution for users by which they can easily convert the OST file to PST file format by preserving the data integrity. 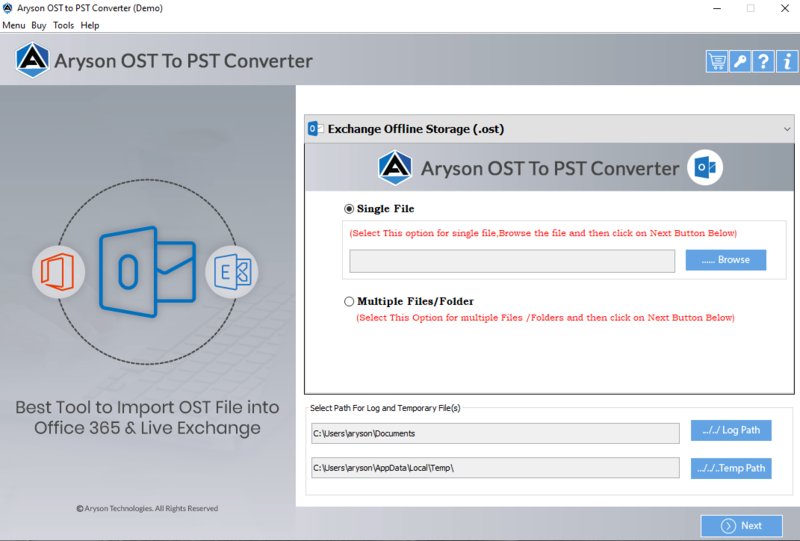 Overall, it is a wonderful solution that converts OST to Outlook PST as well as other file formats such as DBX, EML, MSG, MBOX or Archive mailbox. It is also featured with search, filter and preview option. It performs the fastest scanning, recovery and conversion of OST to PST. The interface is so intuitive and user-friendly that a naive user can use this software with ease. Converts the mailbox items including emails, Calendars, Contacts, events etc. from exchange OST file format to PST file format. Successful conversion of password encrypted OST files. Facilitates the users to save their output file into other file formats apart from PST such as MSG, MBOX, DBX and EML. Supports corrupted or damaged exchange OST files. Interactive and easy interface that makes it easier to use by even a naive user. Featured with search, Date range and preview option. Creates LOG file of entire process of conversion from .ost to .pst file format. *Free Download enables you to preview the converted mails and save 25 items per folder. An OST file is a replica of entire mailbox on the local exchange system. It facilitates the users to work effectively when there are several technical glitches or weak connection. A user wish to export exchange OST file to PST due to a no. of reasons. 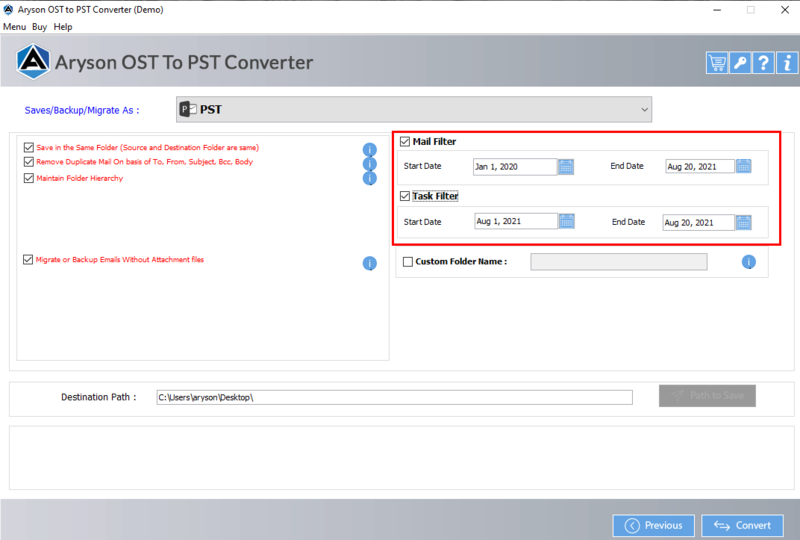 Using this Outlook converter for OST, users can convert entire mailbox components including emails, calendars, contacts, events, to-do lists, journals etc.to PST file format along with their attachments. The Converter for OST is well known for its reliability and authenticity. It successfully supports the conversion of corrupted or damaged OST files to PST files keeping the data remains intact. So, whenever there are certain glitches in normal functioning of Outlook. There must be some corrupted OST files present. 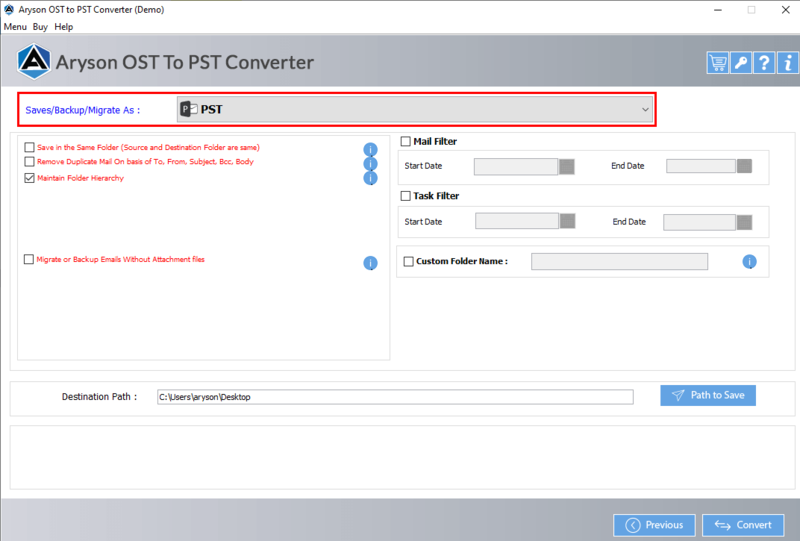 Users can take the help of this OST PST Converter. It has utmost accuracy and focuses on data integrity. 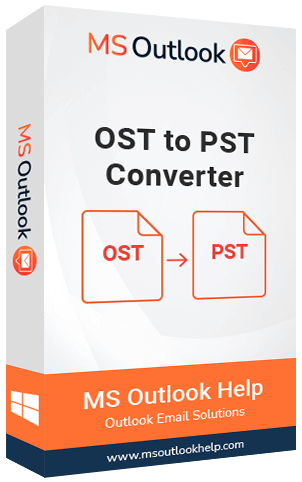 This Outlook OST Converter tool enables the users to save the resultant file into PST as well as other multiple file formats such as EML, MSG, MBOX, DBX and Archive mailbox format. Also, if you do not want to export entire mail items to PST, you can select the particular emails and other mailbox items to convert it to PST file format. Some users apply password to their OST files to secure them and forget the password or some other errors occur. In that case, this tool plays a crucial role as it also converts password encrypted OST files. Using the search option feature, users can locate the OST file that they want if not getting manually. It is very important and helpful feature if someone forget or do not know exactly the location of OST file. This Outlook OST Converter is incorporated with swift scanning and conversion process. Even for converting large sized OST files, it takes a little time. It immediately scans them and perform conversion. 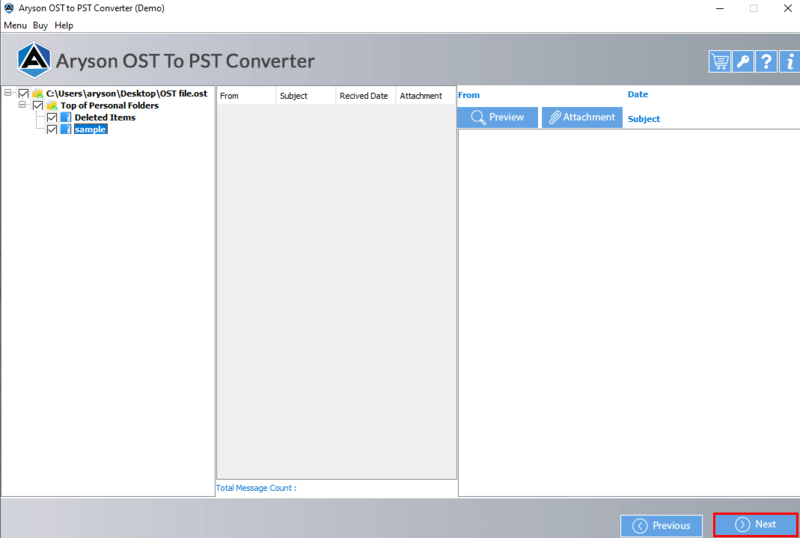 Using this best OST to PST Converter, users can filter the unwanted emails and other mailbox items using Date range. Through this feature, they can simply define the date of which they want to convert the OST files. This authentic software has interactive and intuitive GUI. The interface is so user friendly such that there is no need of any technical expertise to handle it. Even a naive user can use it with ease. This OST Converter always keeps a focus on the integrity and originality of data. It keeps the original data contained in the OST files intact while processing the export of Outlook OST format to PST. After the OST conversion, it generates a LOG file in text format. This file consists of the information of entire mailbox contents such as no. of files and folders, total no. of emails, time consumed in the file etc. The software also provides the free evaluation of your OST files. It is available in demo version. It provides all the features in demo version except one thing i.e. you can’t save the resultant PST files. You can only preview them. Being a Windows utility, this tool for migration of OST to Outlook PST is highly compatible to all the versions of Windows. It supports all the major version of Windows including Windows 10/8/7/XP/Vista etc. Step 1: Download and run the OST to PST converter. Click on Open in the menu bar and then on browse button to select the OST file.
" I was not able to access some of my important mails as it doesn’t connect with Exchange server. I found your OST to PST Converter and it helped me to recover my mails. Thanks guys. " " I liked the way your technical support team helped me with the installation and other issues. Also, the software successfully recovered my data." "I had some PST files on my Outlook 2013. As suggested by someone, I was looking for a software that would help me to merge my multiple PST files into a single one. I used your Merge PST tool. It was great. " "There was a corruption in my Outlook PST file. Also, it was very large in size. It was very important for me that’s why I want to repair it any cost. But, many software do not support files of large size. Then, I got your Outlook PST repair software somewhere over internet. It helped me to recover that file. " "I have used your software earlier and suggested the same to my boss who was facing similar issues. He downloaded the trial version and later purchased the full version. I got appreciated for my valuable suggestion. Thanks to the MS Outhelp Help team. " How can I export OST file to PST using this converter? 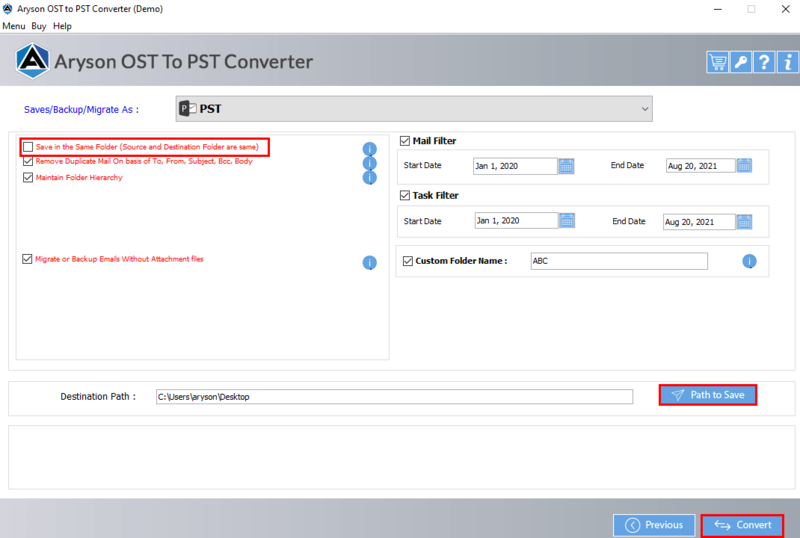 Launch the OST to PST Converter Software. Select the menu option and then choose your OST file. Choose the mode of scanning among Standard, Advanced and Deep. Now, select from the 32-bit or 64-bit version and hit a click on OK button. The scanning process starts. On clicking the save menu option, you’ll be able to export OST file into other file formats. Now, choose the "Save as PST" option and hit a click on "convert" button. Your resultant PST file will be saved at the specified location. This software also scans both ANSI or UNICODE files and enables to preview the item details before you save them at specified location. Is it possible to convert my OST files into PST format if they are in "Invalid State", Or Corrupted? Yes, it is possible to convert your corrupted OST files as well. This converter tool is intelligently programmed to handle corruptions in OST files. If you have corrupted OST file , the tool will scan the file thoroughly and converts it into PST format keeping the data integrated. 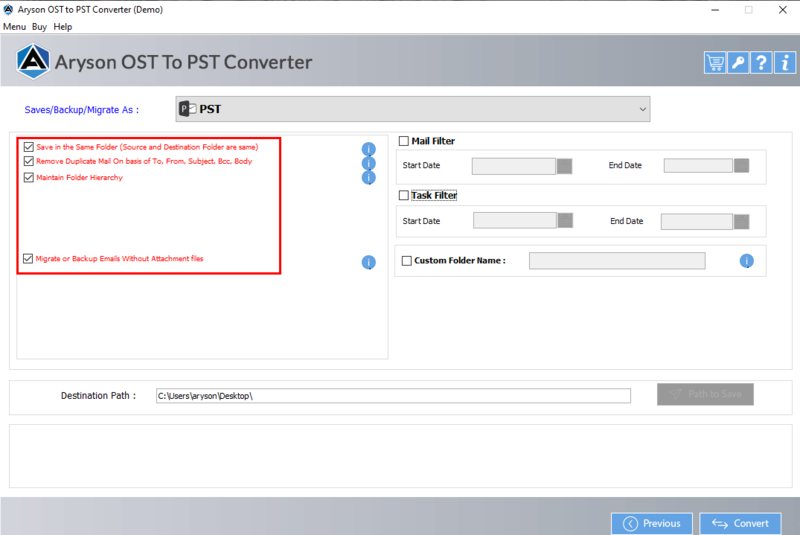 Can I open the PST file created by this best OST to PST Converter tool in the current version of Outlook 2016? It doesn't matter on which Outlook version you are working with, this tool provides wide support to all the popular versions of Microsoft Outlook including the latest Outlook 2016. 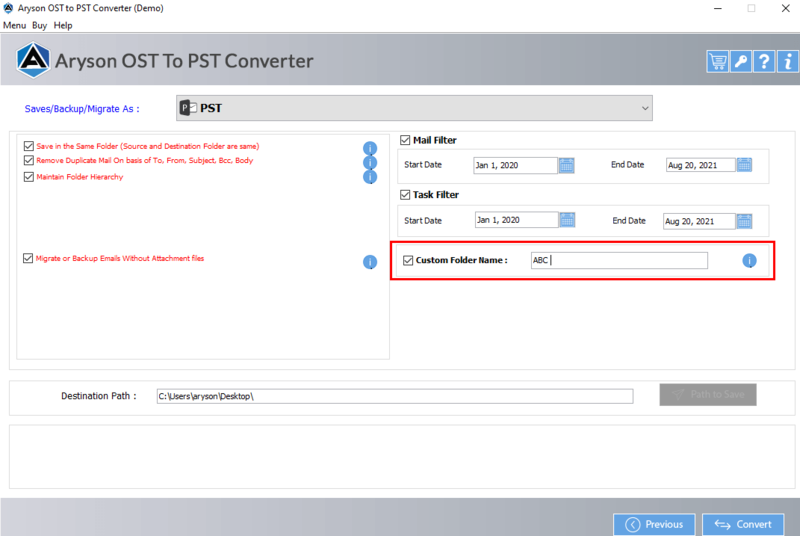 The resultant PST file formed can easily be opened in either higher or lower Outlook versions. By chance, I forget the OST file path. Can I search the file using this Converter? Yes, definitely! The software allows you to search the Offline Folders (OST) from your system files, sub-folders, or drive. You can use the 'Search' option of the software to locate your OST files from any drive or Folder and choose the desired file for conversion. Why we need to convert Exchange OST file to PST file? No, there is not any such limitation. You can export OST file of any size to perform OST to PST Conversion. Is this OST to PST Converter safe and reliable? Need arises if your mailbox on the Exchange Server get deleted(accidently) and you need to access your emails. You might face issues while synchronizing Microsoft Outlook with the Exchange Server. You need to transmit your business emails to a different workplace or organization. Is there any sorts of limitations with OST files? No, there is not any such limitation. You can export OST file of any size to convert it into PST file format. Is this software tool for OST conversion is safe and reliable? Yes, the OST Converter is very reliable and authentic tool. It makes the conversion of OST files to PST keeping in focus data integrity. It makes the data remains intact. Also, it is having various other features like search, preview and date range which facilitates the user for different purposes. What is the Date range feature in this software? Date Range Saving feature of this software is of much importance. users can filter the unwanted emails and other mailbox items using Date range. Through this feature, they can simply define the date of which they want to convert the OST files. Do I need MS Exchange server to run this software? There is no any requirement for MS Exchange Server for using this software. Even, there is no need to have the system on which the OST files were created. Does the software repairs the corrupted OST file data? The OST to PST converter online doesn’t repair or perform any such action on corrupted OST files. However, the software exports the corrupted OST files to PST file to make them accessible to the users. These PST files can easily be imported to MS Outlook to access all your OST file data. 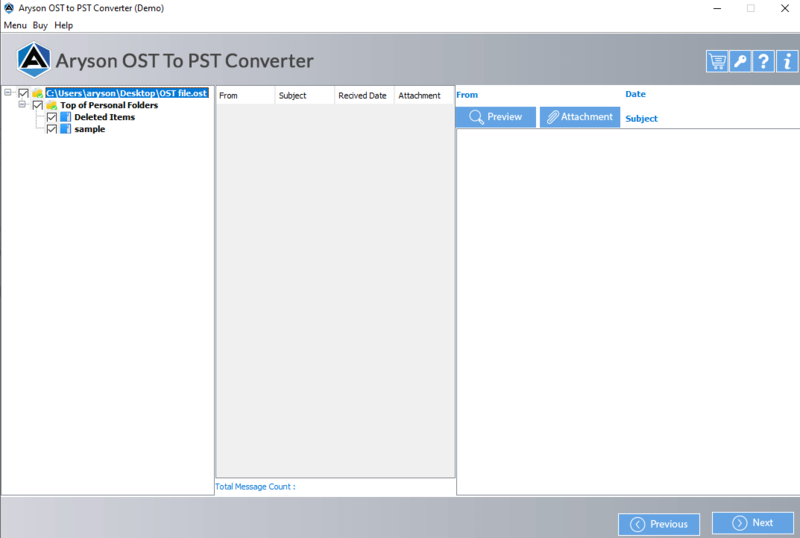 After the OST conversion to Outlook PST, how can I import the PST into MS Outlook client? In the 'File' menu option, click on 'Open' and choose the 'Outlook Data File' option. Select the PST file you wish to import to Outlook and hit 'OK'. Once the process completes, Outlook will create a new folder containing PST file.